Persian is a Normal type Pokémon introduced in Generation 1. It is known as the Classy Cat Pokémon . 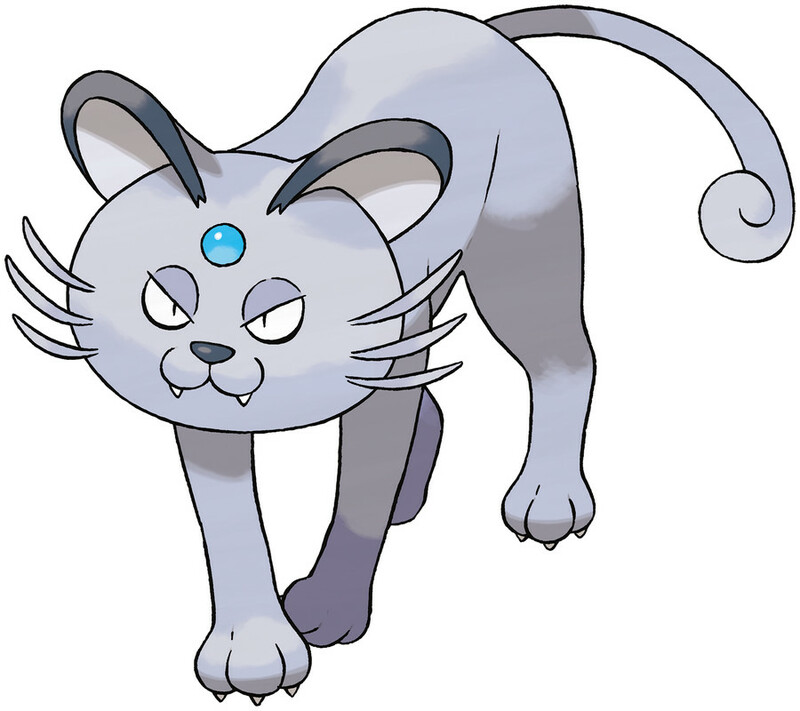 Persian has a new Alolan form introduced in Pokémon Sun/Moon. The effectiveness of each type on Persian. In Generation 3, Persian does not have the Technician ability. 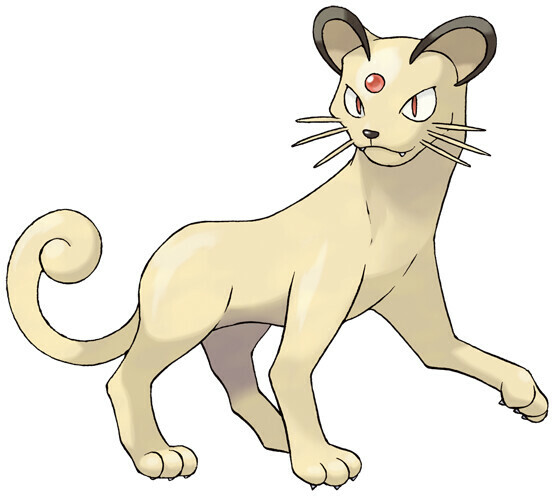 In Generation 1, Persian has a base Special stat of 65. In Generations 1-4, Persian has a base experience yield of 148. PERSIAN has six bold whiskers that give it a look of toughness. The whiskers sense air movements to determine what is in the POKéMON’s surrounding vicinity. It becomes docile if grabbed by the whiskers. A PERSIAN’s six bold whiskers sense air movements to determine what is in its vicinity. It becomes docile if grabbed by the whiskers. It has a high opinion of itself, although not to the same extent as the Alolan Persian. It’s quite difficult to make friends with this Pokémon. 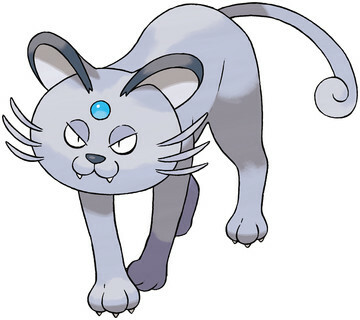 Although the jewel on its forehead appears to be a different color than those of Alolan Persian, it’s mostly made of the same material. This Pokémon is popular with rich people. It’s also targeted by hunters who are after the jewel in its forehead. In contrast to its lovely face, it’s so brutal that it tortures its weakened prey rather than finishing them off. Persian learns the following moves in Pokémon Let's Go Pikachu & Let's Go Eevee at the levels specified. Persian learns the following moves when it evolves in Pokémon Let's Go Pikachu & Let's Go Eevee (regardless of level). Persian learns the following moves in Pokémon Ultra Sun & Ultra Moon at the levels specified. Persian learns the following moves when it evolves in Pokémon Ultra Sun & Ultra Moon (regardless of level). Persian learns the following moves via breeding in Pokémon Ultra Sun & Ultra Moon. Details and compatible parents can be found on the Persian egg moves page. These moves can only be learned in Pokémon Ultra Sun & Ultra Moon by a previous evolution of Persian. Check the respective Pokédex for the exact details. Persian can only learn these moves in previous generations. It must be taught the moves in the appropriate game and then transferred to Pokémon Ultra Sun & Ultra Moon.